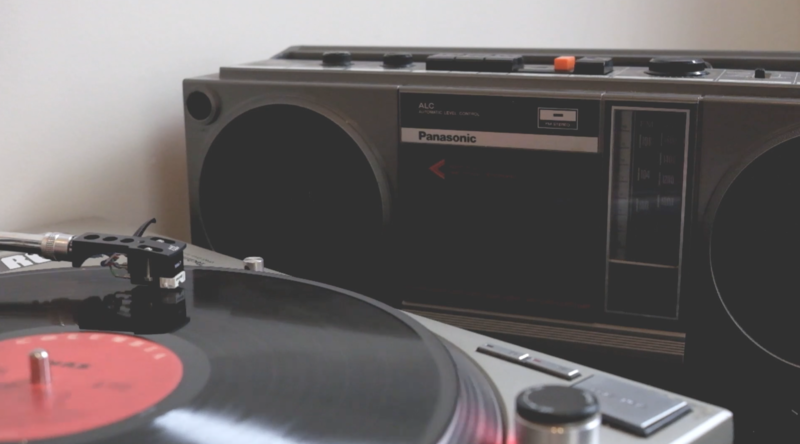 I rewired a vintage Panasonic boom box to play audio from a pair of turntables. 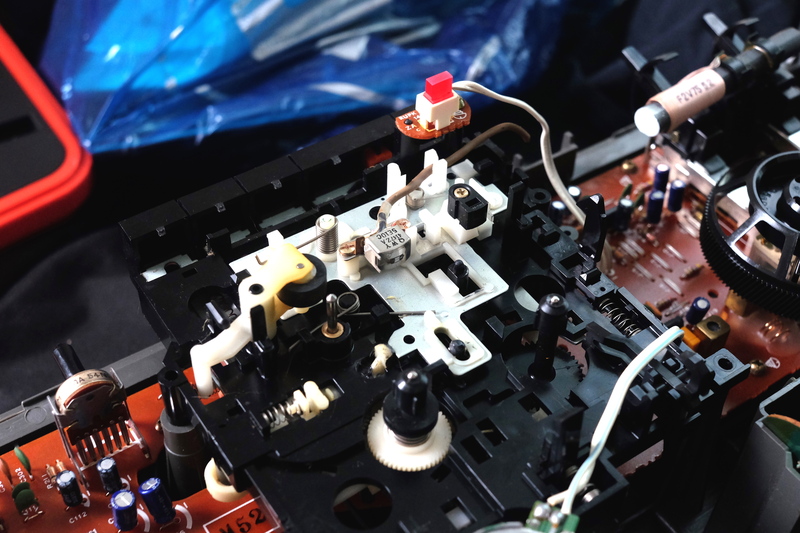 I started by opening the boom box and examining the tape cartridge as a point to replace the audio wires since it no longer worked. 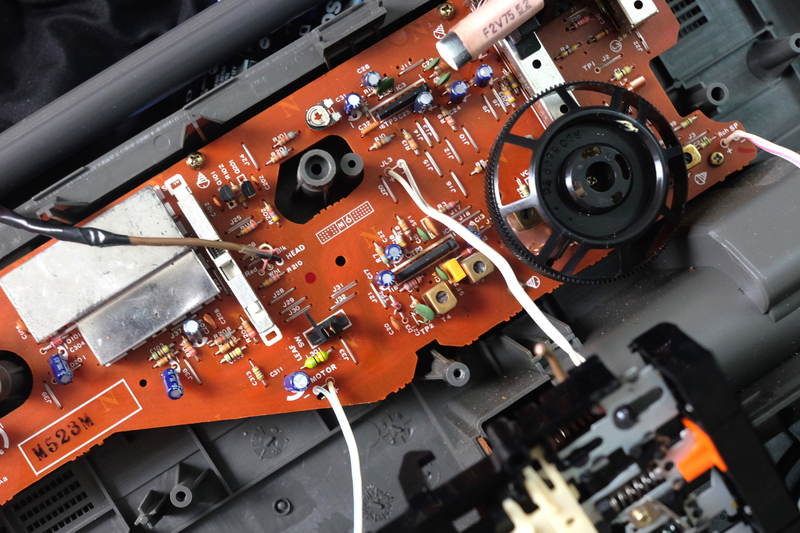 From there I snipped the original wires connecting to the tape deck reader and connected them to corresponding wires on a 3.5mm cable.